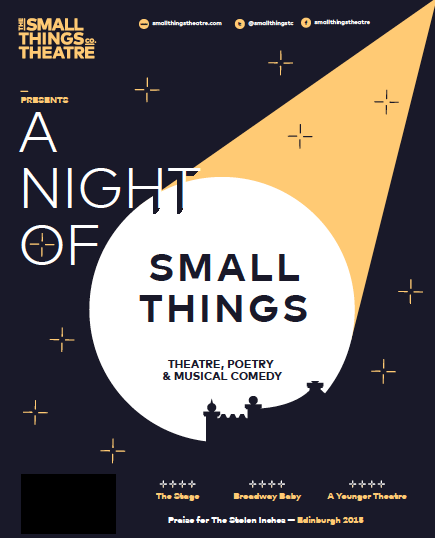 Small Things Theatre is back with a Night Of Small Things at The Pleasance, Islington. 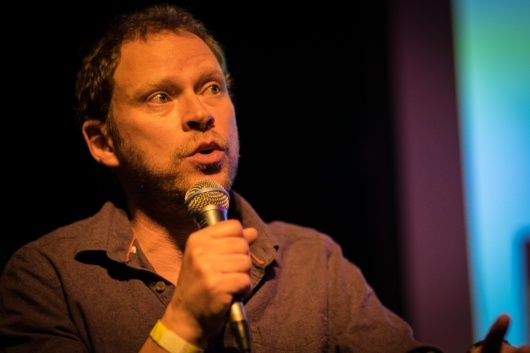 Full of fun, frivolity and fearless talent, showcasing some of the best poets, playwrights, performers, musicians and comedians, A Night Of Small Things is London’s finest variety night. Come join us for a series of stand ups, intimate musical sets, pint sized sections of poetry and short gems of theatrical brilliance. Whether you are a playwright, a musician, a comedian, a poet or all of the above then get in touch. Playwrights – send us a script. We like to keep each theatrical piece to 15 minute maximum. If you need help finding directors and actors then let us know and we’ll put you in touch with lots of talented people. Musicians – send us a link to soundcloud or any other platform where we can hear a sample of what you do. The night is always held in a theatrical venue so its a little different to gig venues, people will sit and listen. We’ll give you guys a 15 minute slot just like the playwrights. Poets – send us a sample of your poetry. We give you a 5 minute slot so a chance to read a couple of lengthy poems or several short sharp stanzas. Comedians – You don’t have to send us a joke! Give us an idea of what you do, maybe a link to a video but if you don’t have this don’t worry, we’re happy to meet up and chat about doing a set. We’ll give you up to 10 minutes to roll out your material. Hats off to you too cos we couldn’t do it! Next PostNIGHT OF SMALL THINGS – MONDAY 26TH NOVEMBER!